"Why don't we bring the food we love out to the west?" That's the line of thinking that's inspired Sydney chefs Richard Borg, Joshua DeLuca and Timothy Rosenstrauss to open Burger Head in Penrith. These young guns are only in their early twenties, but their CVs are already heavy with acclaim. Between them, they've worked at hatted restaurants such as Momofuku Seiobo, Quay and Ormeggio. DeLuca even boasts a stint at Mathias Dahlgren, a two-Michelin-starred restaurant in Stockholm. 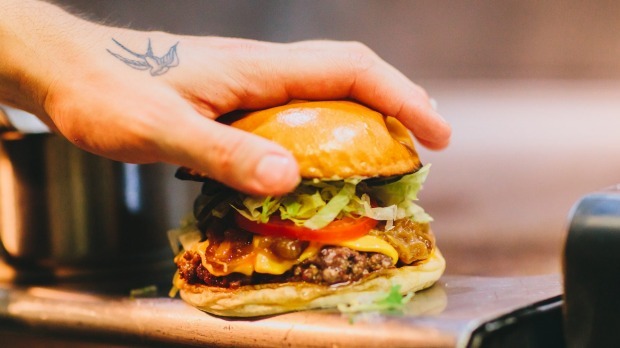 The trio met at Master before it closed in Surry Hills; it was while working in the kitchen there that they hatched their plans for opening Burger Head together. Fine-dining talent taking on burgers isn't a new phenomenon (Neil Perry, Warren Turnbull and Kerby Craig are hatted chefs who have turned to slinging high-grade burgers, with Sokyo's Chase Kojima recently opening Gojima, the city's first rice burger bar); what makes Burger Head different is that it's the first joint of its calibre to open in Western Sydney. "Richard and Joshua grew up in the western suburbs of Sydney; to do their training, they had to travel long and far just to get to the respected restaurants. Even on a day off, when they were after a casual meal, the quality around the area was nothing like what you find in Surry Hills, Newtown and the CBD," says Rosenstrauss. "[They] would spend over an hour to travel for a good burger in the city which almost made it not worth it." So why not set up an establishment that aced buns, patties, pickles and fries close to home? The chefs have done their homework, nerding out about burgers all over Europe and Australia. Stockholm's Flippin' Burgers was a big inspiration. Joshua DeLuca was knocked flat by the fine-dining chefs' approach to the menu. "It showed him with the same level of focus and dedication to a burger how much it could lift it. He kept it in the back of his mind when he returned home," says Rosenstrauss, who also recently ate there and agrees it was "one of the best" burgers he's ever had. "Every ingredient had been done well." "In London, Tim went to a place called Bleeker Burger that had a black pudding patty, which was a bit different - but still very good," says Borg. "The three of us agree that in Sydney the best burger we've had is from Mary's in Newtown," says DeLuca. 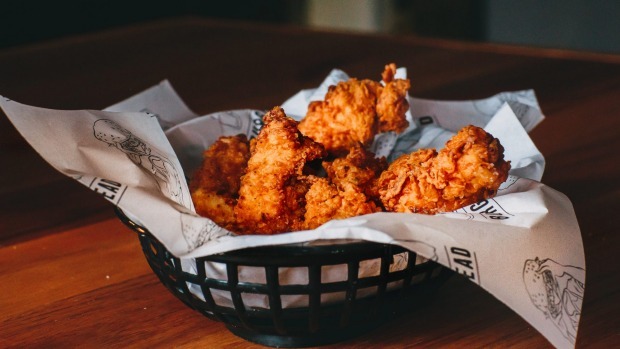 Given their time in high-end restaurants, the chefs will be bringing their fancy techniques to the American fast-food staple - deploying liquid nitrogen for smoky desserts and the sous vide machine for fried chicken and to slow-cook short rib for 36 hours. Expect a burger jammed with bacon-wrapped, cheese-stuffed, dry-aged beef as well a pulled pork and vegetarian option. 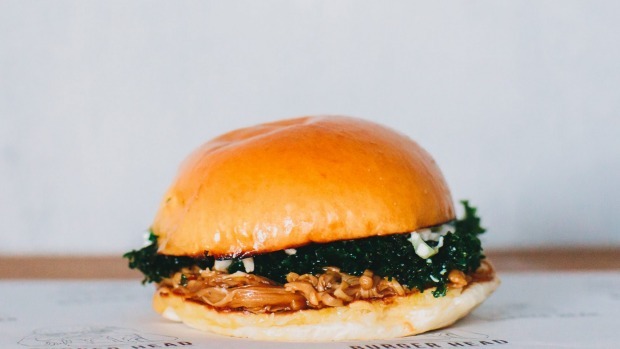 They're currently experimenting with house-made kimchi and smoked pork jowls, while everything - "including pickles, the sauce and the meat blend for our patties" - will be made in house, says DeLuca. There will also be rotating specials that take on influences from around the world, plus ice cream sandwiches and a sweet version of loaded fries. Expect some inventive shakes on the menu while they wait for their liquor licence to come through. 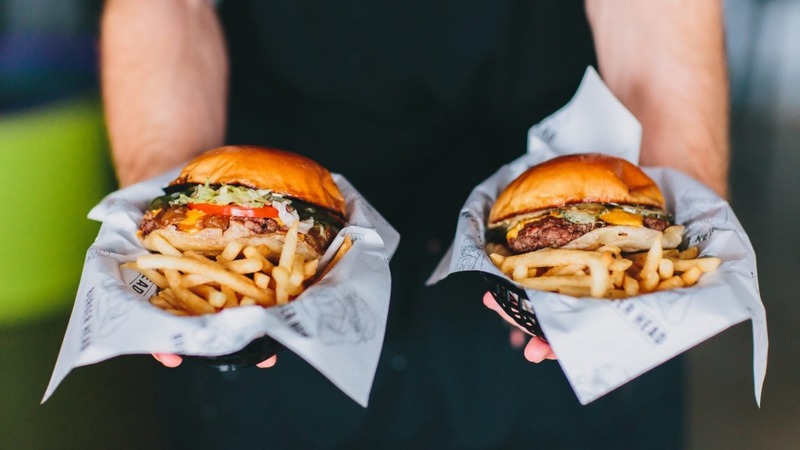 "If this first venue does well we're looking to open multiple Burger Heads around the western suburbs of Sydney to change the way the west sees food."